The popular Easter Monday Kite Festival hosted annually by CPKites will see the skies filled with colorful and traditional home-made kites, as the young and the young at heart participate in this annual tradition. Hundreds of kite-flyers and on-lookers converge at the Devil’s Bridge national park for this great family-friendly festival. 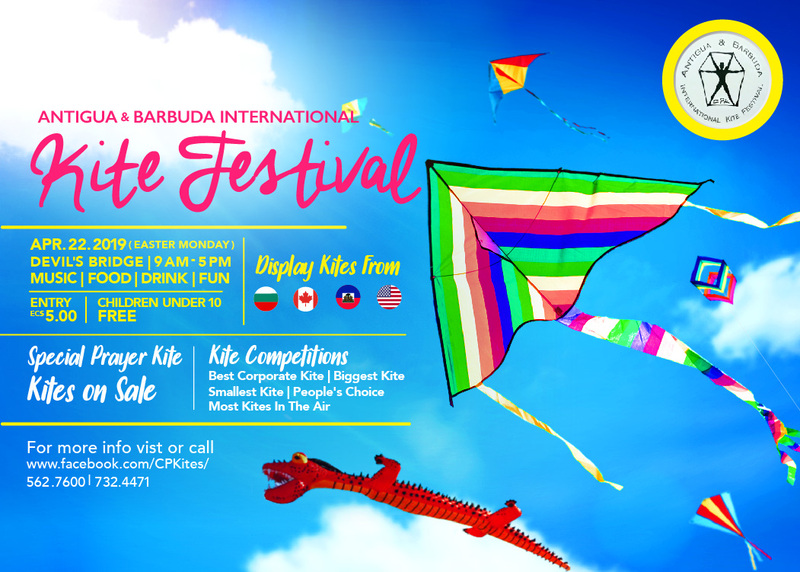 There will be lots to eat and drink, entertainment for the children and fun competitions to enter, for traditional kite-flyers such as Biggest Kite, Smallest Kite, Best Corporate Kite, and Most Kites in the Air. For more information contact: Calvin Pilgrim on 732-4471 or The Antigua and Barbuda Tourism Authority on 562-7600.